Adjusting for forty-seven years of inflation, a $592 monthly salary in 1968 is roughly the equivalent of $4,100 in 2015. 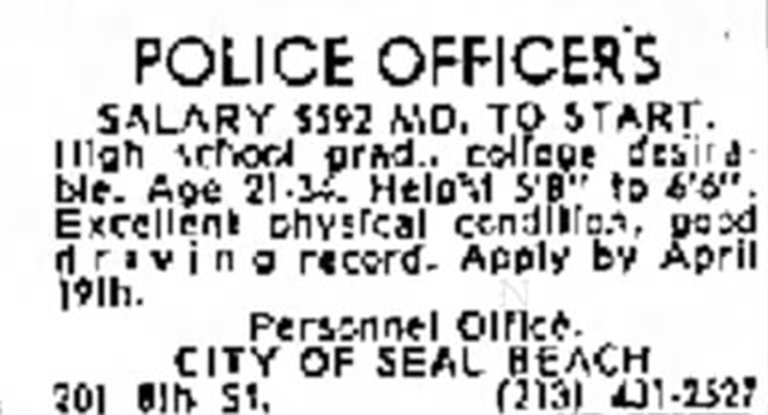 This entry was posted in Seal Beach History and tagged 1968, Seal Beach, Seal Beach History, Seal Beach Police. Bookmark the permalink.